Violinist, David Do, is the second violinist of the The Julius Quartet, currently the Peak Fellowship Ensemble-in-Residence at the Meadows School of Music at Southern Methodist University. As a soloist, Do has appeared as an international soloist at the Chichibu International Music Festival in Japan, performing with the Chichibu Festival Orchestra. Furthermore, he has also performed as soloist with various orchestras in the Northern Californian region, including a commissioned work by Kerry Lewis with the San Jose Youth Chamber Orchestra, where he also served as concertmaster. As a passionate chamber musician, David has participated in various chamber music festivals and concerts such as the St. Lawrence String Quartet Seminar, McGill International String Quartet Academy, The Banff Centre's Chamber Music Residency Program, the Tanglewood String Quartet Seminar, Apple Hill Center for Chamber Music, and the Worcester Chamber Music Society Summer Festival. 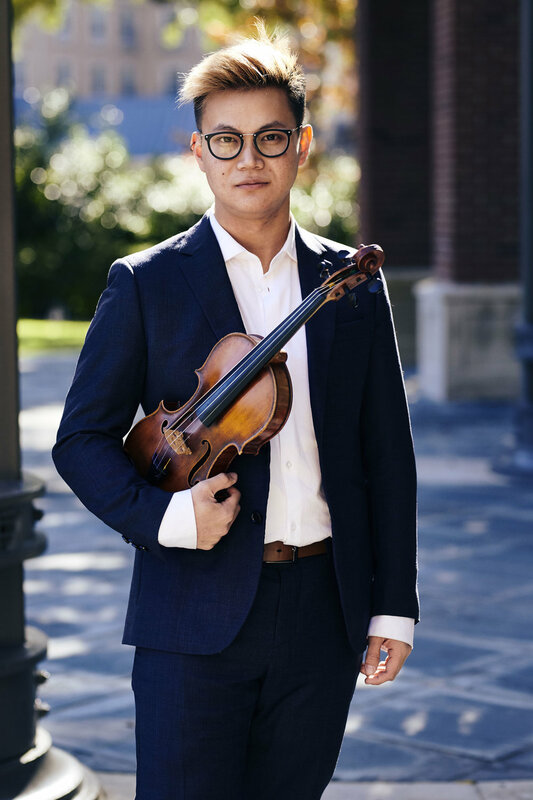 Do is a graduate of The Boston Conservatory where he studied with Markus Placci and received an Artist Diploma from the John J. Cali School of Music at Montclair State University where he worked with Yi-Wen Jiang, the renowned second violinist of the Shanghai Quartet. Prior to his conservatory career, David began his formal training at San Francisco Conservatory's Preparatory Division studying with Doris Fukawa. Currently, as part of the Peak Fellowship, David serves as a Assistant Chamber Music Coach at the Meadows School of the Arts at Southern Methodist University.